Safe and proper disposal of waste that contains hazardous components such as electronic waste (or e-waste) remains a challenge for many industrialized countries. In many cases, these countries would rather ship the waste to developing nations instead of dealing with the cost and difficulties of proper waste disposal. Despite the various efforts made to curb the dumping of waste in countries unfortunately unequipped to handle them, the illegal practice continues. In a list put together by When On Earth, here are the 20 countries that are used as dumping grounds. 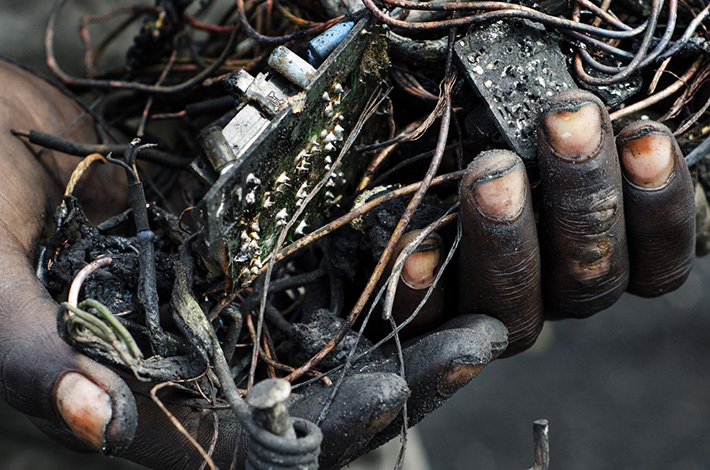 Ghana, Africa is one of the countries where e-waste from all over the world “go to die”. 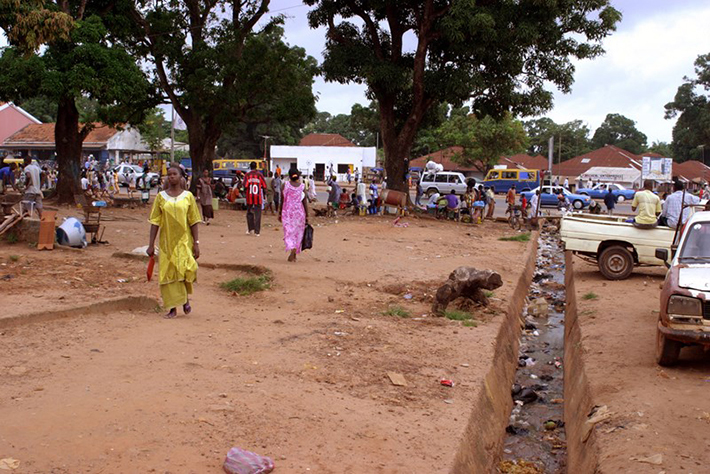 The hardest hit region is the Agbogbloshie, or as the locals call it, “Sodom and Gomorrah”. A former wetland, Agbogbloshie is now known as one of the world’s biggest dumps where scores of workers burn waste and strip valuables from obsolete electronics. 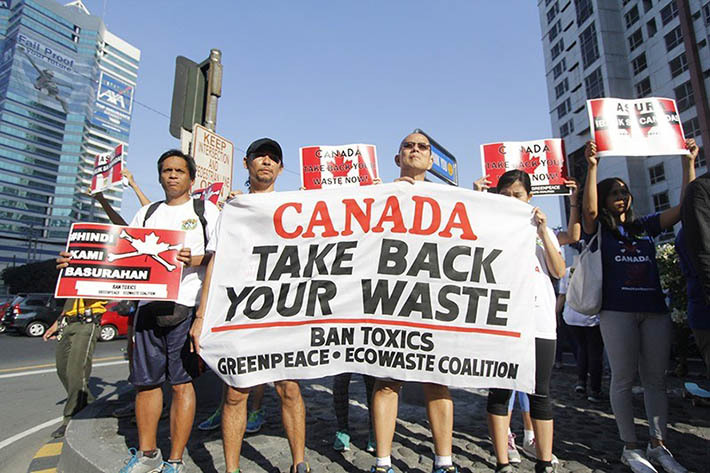 The port of Manila, in the Philippines, recently found itself the unwilling dumping place for 50 shipping containers full of trash from Canada. The containers were suposed to contain plastic for recycling but when they were opened, garbage such as dirty diapers were found along with the plastic. Every day, the port city of Lagos (where there is a giant electronics market) in Nigeria receive an estimated 15 shipping containers filled with discarded electronics. 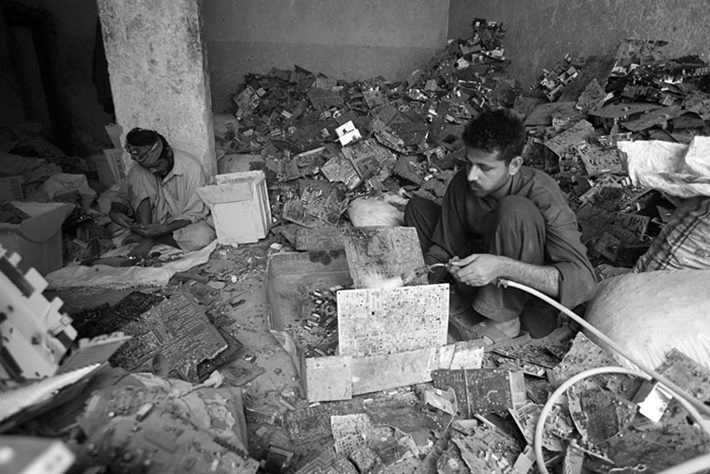 Most of the electronics are unfortunately broken and beyond repair so they end up in dumps where people scavenge for valuable components in dangerous conditions. In the past Nigeria also found itself the dumping ground for toxic waste from countries such as Italy. 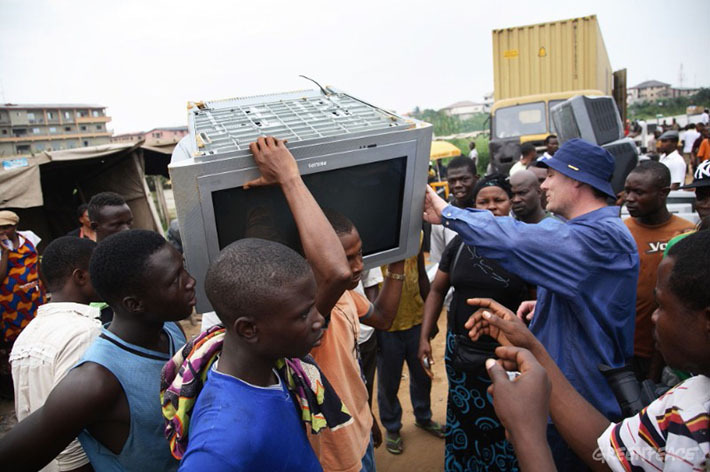 European e-waste arrives illegally in Nigeria to be sold as “second hand goods”. Due to a Tsunami surge in 2004, hazardous waste containers washed up on the shores of Southern Somalia prompting renewed attention on the issue of illegal dumping. According to the UN, some firms took advantage of Somalia’s lack of a functioning government to dump waste off its coast for years. Hydrogen peroxide toxic waste and radioactive materials were also found in parts of Central and Southern Somalia. China manufactures a lot of electronic devices, and many of these devices are shipped back as e-waste despite the bans that are in place. 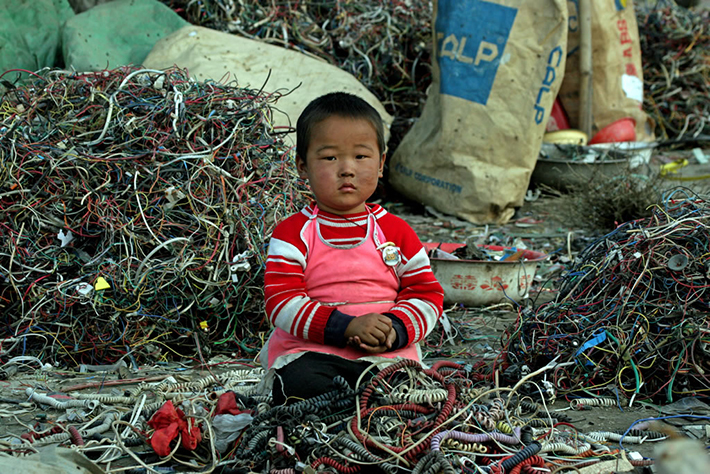 The town of Guiyi is one of the biggest dumping hubs where the roads are lined with discarded electronics. 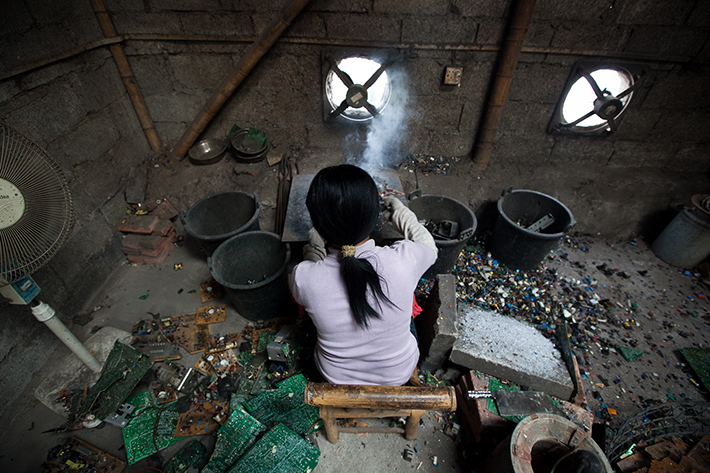 At a makeshift e-waste workshop in China’s Guiyu town, a migrant worker cooks computer motherboards over solder to remove chips and valuable metals. 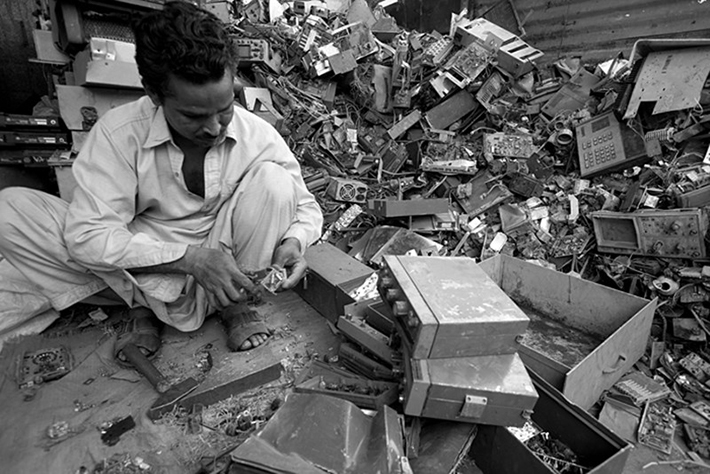 According to reports, a lot of European waste including metals, textiles and tires end up in India along with a lot of illegal e-waste. Unfortunately, the country has poorly equipped facilities which cannot effectively process the waste so they end up in incinerators or landfills instead. 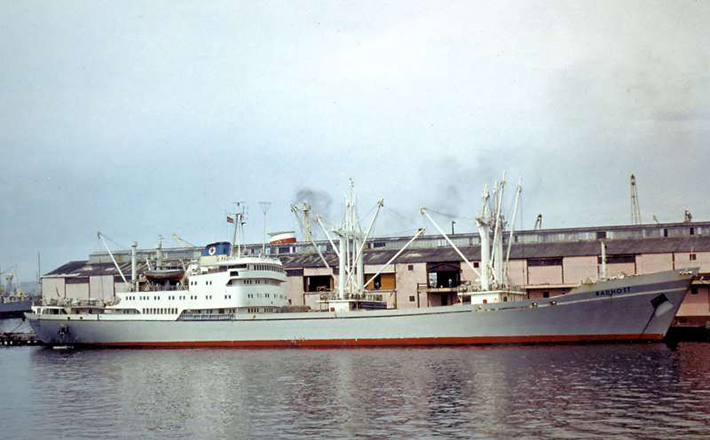 India is also the location of the Alang shipyards where half of all the ships that are salvaged around the world are sent for recycling. Hundreds of manual laborers dismantle the ships, often in very dangerous conditions. 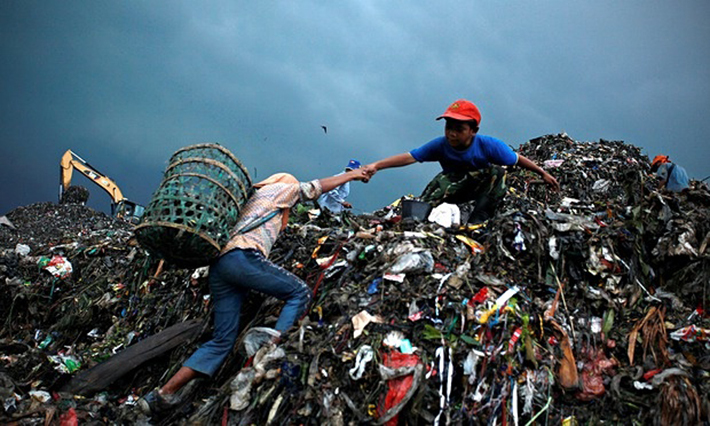 Vietnam’s growing IT industry already generates an alarming bulk of e-waste. In addition, the country also faces problems with illegal importing of e-waste from other countries including the 340 tons of electronic spare parts by one local firm as well as thousands of laptops, computer screens, and used chargers brought through the border gate by another company. 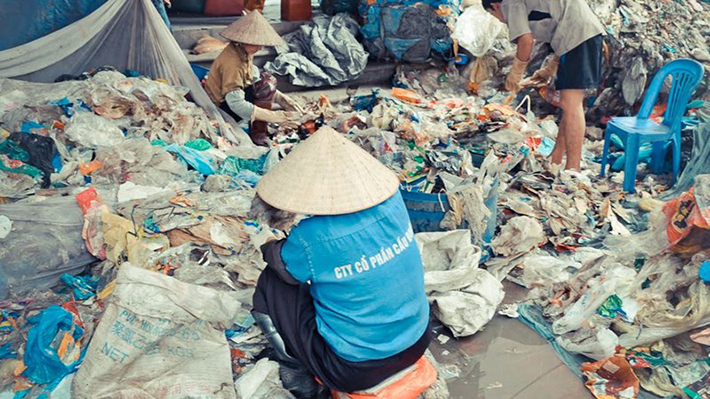 Vietnam is also home to the “rubbish metropolis” of Minh Khai Village, which receives waste from the country, Europe and Asia. According to the Basel Action Network, more than 500,000 used computers are still sent to Pakistan each year from developed countries including Singapore, USA, and a few European nations, despite the fact that it is in clear violation of international laws. 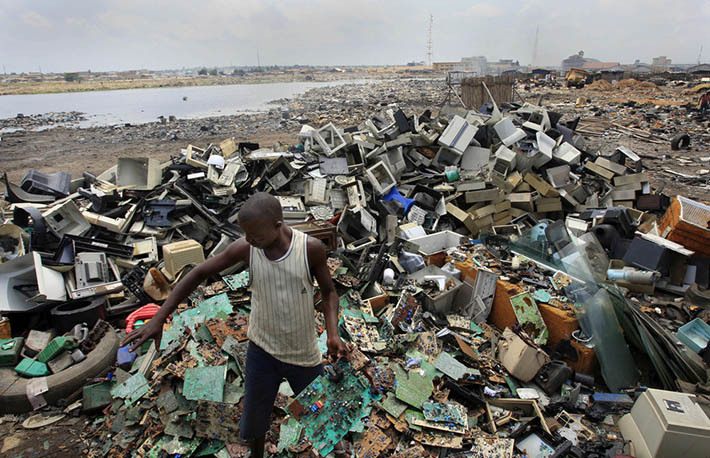 Only an estimated 15 to 40 percent of the computers are in a usable condition, while the rest are recycled in extremely hazardous conditions. 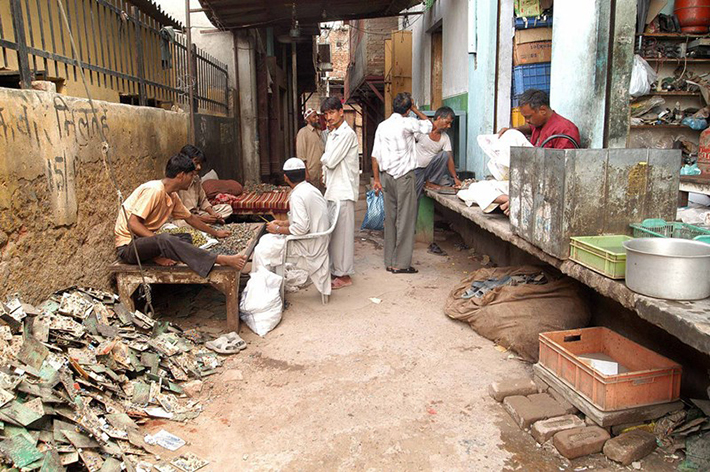 Bangladesh has a running history of being a dumping ground for everything from plastic waste and asbestos to defective steel, waste oil, lead waste and used batteries from different countries. 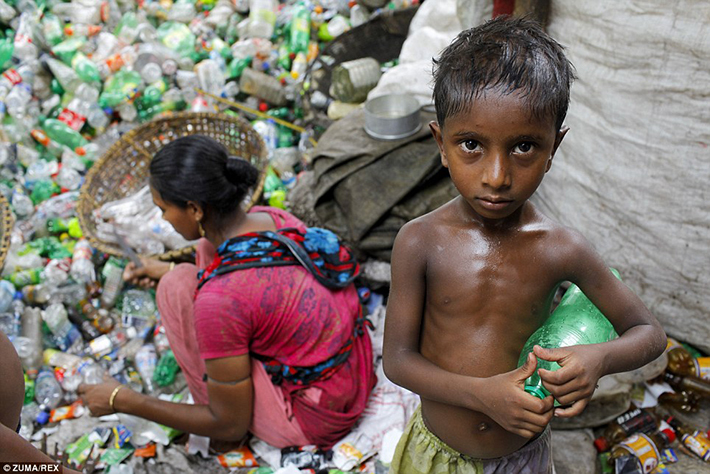 According to studies by the Environment and Social Development Organization, more than 83% of child workers are exposed to toxic substances related to e-waste recycling in Bangladesh. As a result, over 15% of these children die each year. 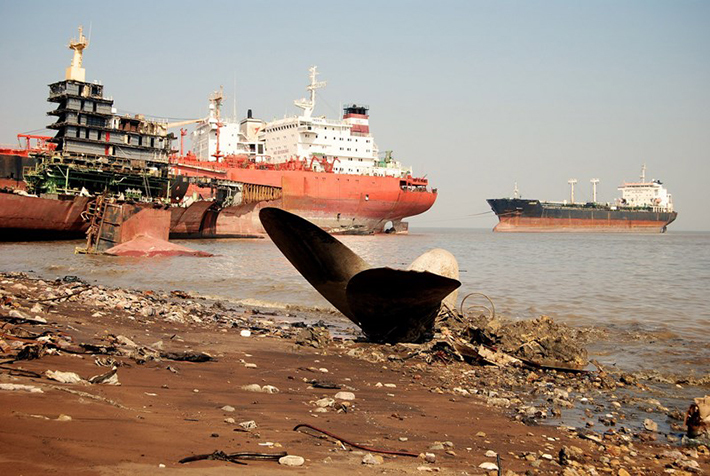 Aside from the e-waste, the country is also known for its ship breaking industry (the second larges in the world) where millions of tons of old ships are imported each year. 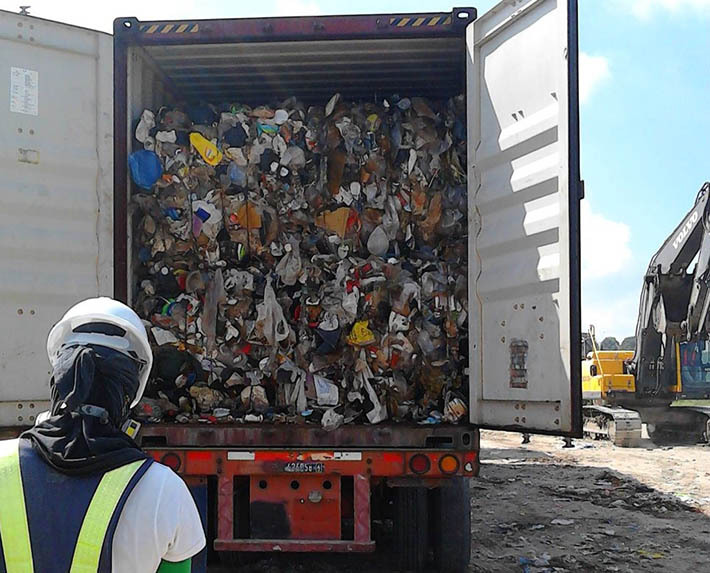 One of the most shocking examples of waste getting dumped illegally in a different country is the 500 metric tons of toxic waste from Europe that were offloaded (during nighttime) at 14 dump sites scattered around Abidjan, the economic capital of Ivory Coast. The sites, which were close to water supplies or fields used for growing food, caused the death of 8 people and over than 80,000 more to seek medical treatment. 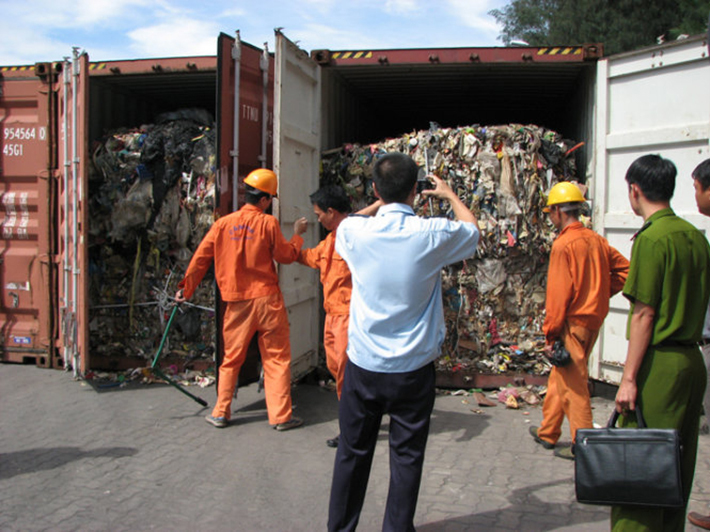 Exporting scrap metal to Indonesia is legal as long as certain standards are maintained. However, the country still faces problems with illegal waste which has prompted strict measures against the import of contaminated waste. In 2012 alone, the sent back 1800 tons of suspected contaminated waste to countries including the UK. 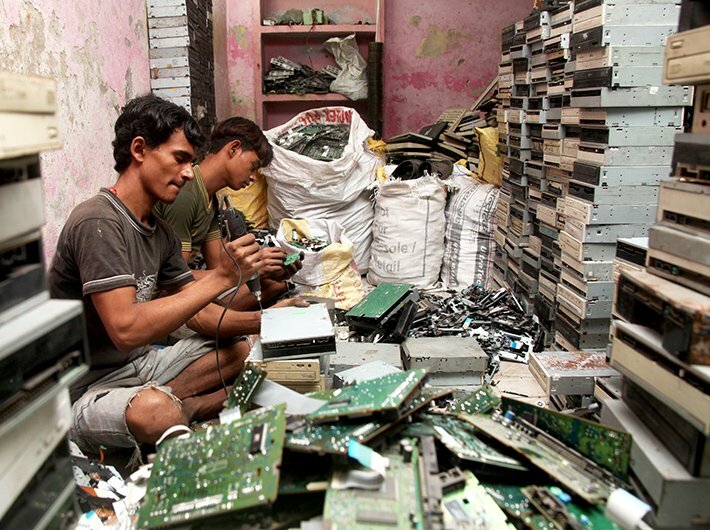 Indonesia’s capital, Jakarta, is also home to an estimated 500,000 scavengers who make a living searching through e-waste. 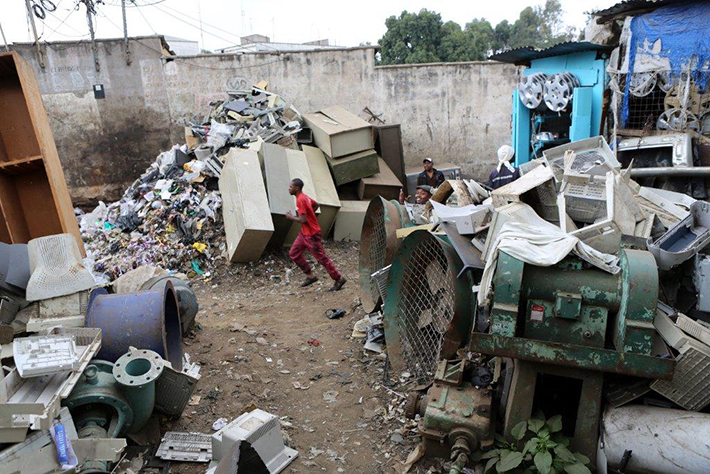 Since 2010, Kenya has implemented an e-waste management project due to the amount of e-waste shipped to the country. 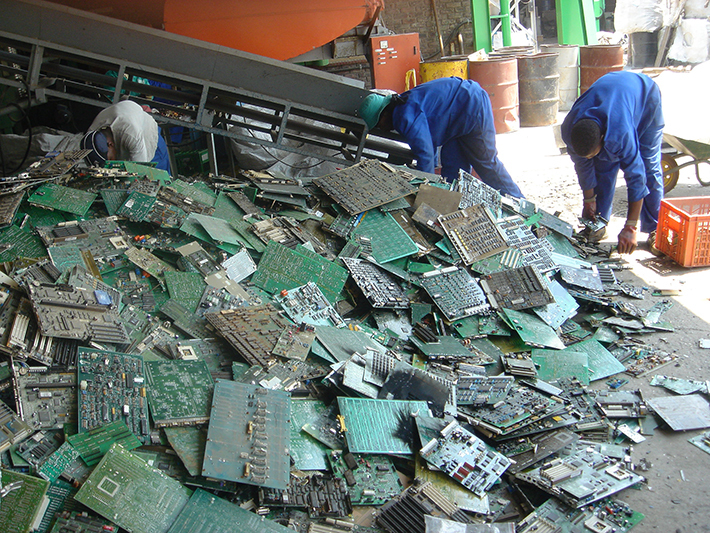 The first large-scale recycling facility in east Africa is located in Nairobi where workers can safely deal with the estimated 15,000 tons of electronic waste that are shipped to the country each year. 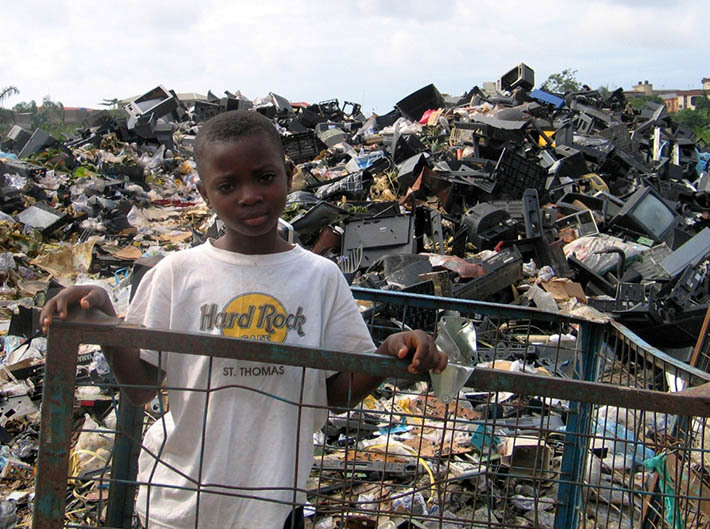 In the late 80s, about 15,000 tons of American waste (from municipal incinerators in Philadelphia) was dumped on the island of Kassa near the capital of Guinea on the mainland. A Norwegian company was hired to dispose of the waste which was labeled as raw material for building bricks, but in reality contained a dangerous mixture of heavy metals as well as toxic dioxins. Officials were prompted to take action as the waste caused noxious smell and dying vegetation. In the end, the waste was returned to the US where it was buried in a landfill. Guinea wasn’t the only country to unwillingly receive toxic waste from Philadelphia. 4000 tons of toxic incinerator ash aboard the vessel, Khian Sea, were also dumped on a beach near the Haitian city of Gonaives after Honduras, Bermuda and the Dominican Republic refused to accept its cargo. The ship left quietly in the night before the Haitians realized that the ash wasn’t fertilizer as promised. 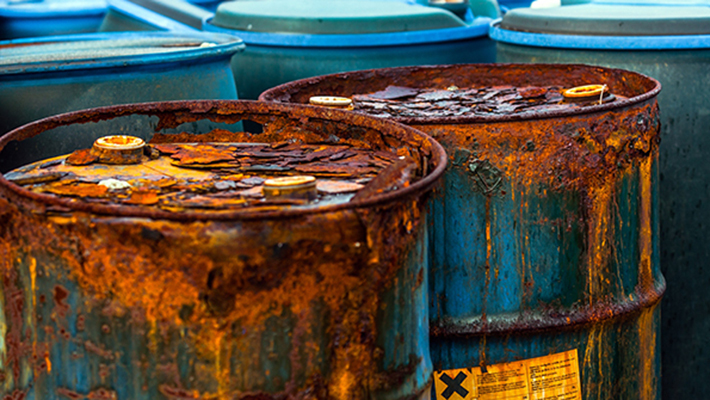 During the 1980s, Mexico served as a dumping ground for hazardous waste products originating in the United States. Since border officials were more interested in intercepting weapons or illegal drugs, a lot of the waste (which were hidden in other cargo on trucks or trains) crossed the border undetected and ended up in unregulated landfills. 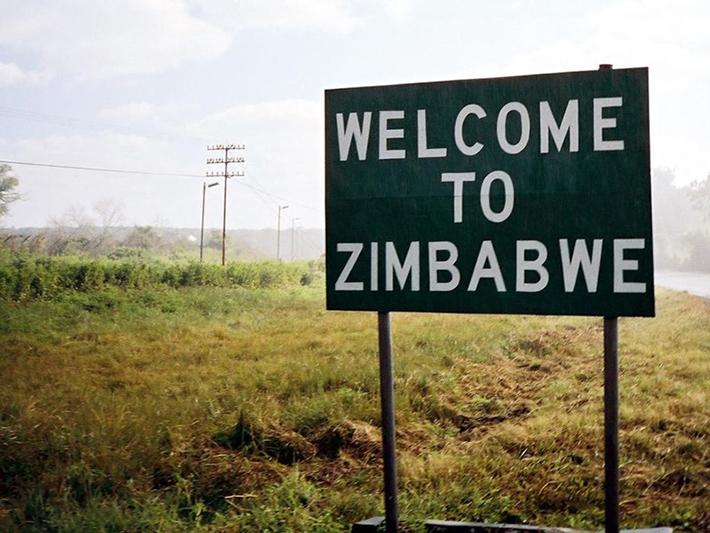 Also in the late 80s, Zimbabwe found itself the recipient of toxic waste disguised as commercial cleaning fluid. The waste which consisted of residues from painting and de-greasing naval equipment that was enough to fill 275 barrels, was brought using grants from the U.S Agency for International Development. The waste originated at a Navy base in Norfolk from where it was sent to a warehouse just outside New York. The U.S. exporters who were responsible for the incident were later imprisoned for fraudulent business practices. 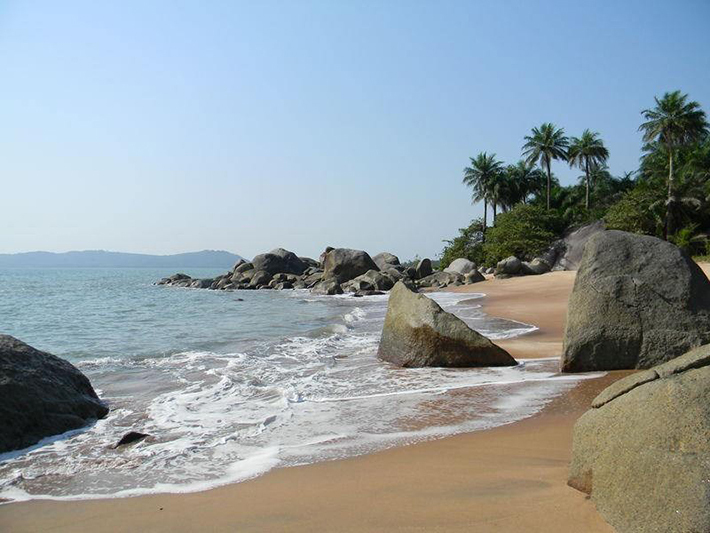 According to reports, between 1 million and 3.5 million tons of toxic waste (both pharmaceutical and industrial) were sent to Guinea Bissau from countries such as Switzerland, the United Kingdom and the United States. 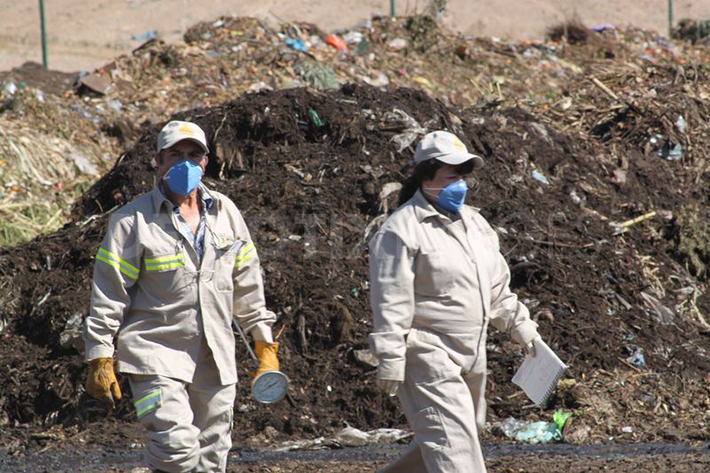 Country officials also signed a five-year contract for the burial of 15 million tons of toxic waste sent over by European pharmaceutical companies and tanneries, but repudiated the contract after the public outcry. 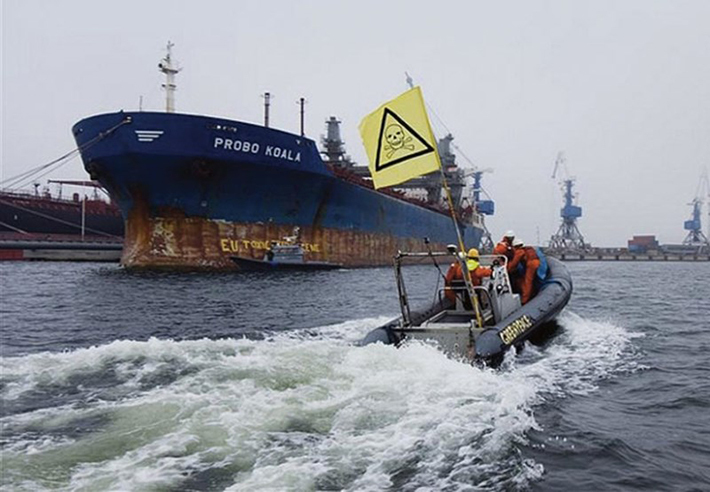 A Greenpeace report highlighted the case of ships, loaded with toxic waste from Italy that was bound for Romania and Africa. 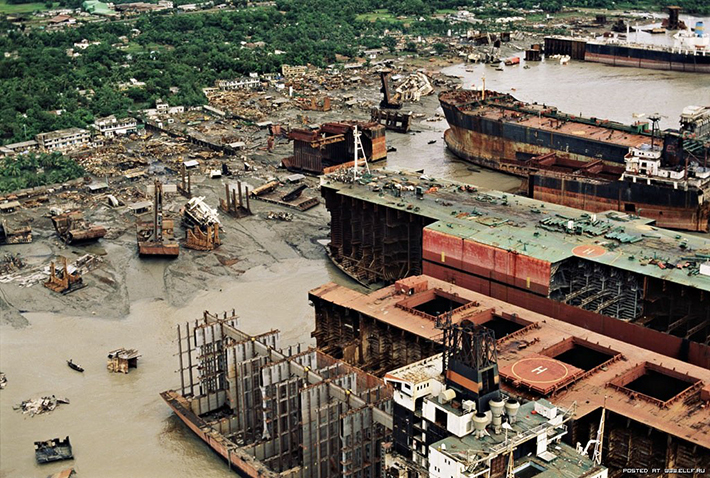 In 1987, a ship named Radhost sailed to Venezuela carrying 2400 tons of industrial waste. It was to join the Lynx, another ship that was also carrying 2000 tons of industrial waste. 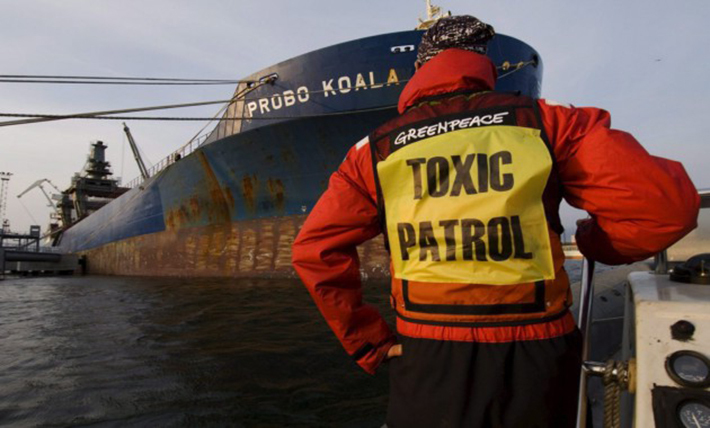 However, the ship was turned away by authorities and ended up delivering its toxic cargo to Lebanon instead. Local media uncovered the story and a campaign was begun to return the toxic waste to Italy. 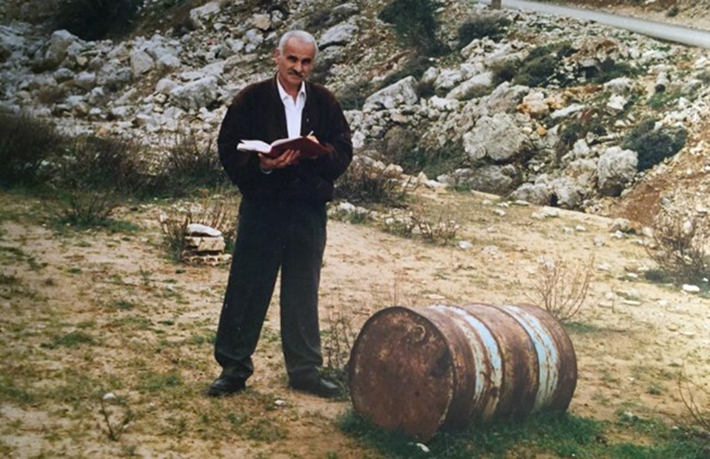 This undated file picture shows a man taking note next to a barrel of toxic waste in an undisclosed location in Lebanon. According to an article in New Scientist magazine from 1989, 120 drums of waste was dumped in South Africa originating in the United States. 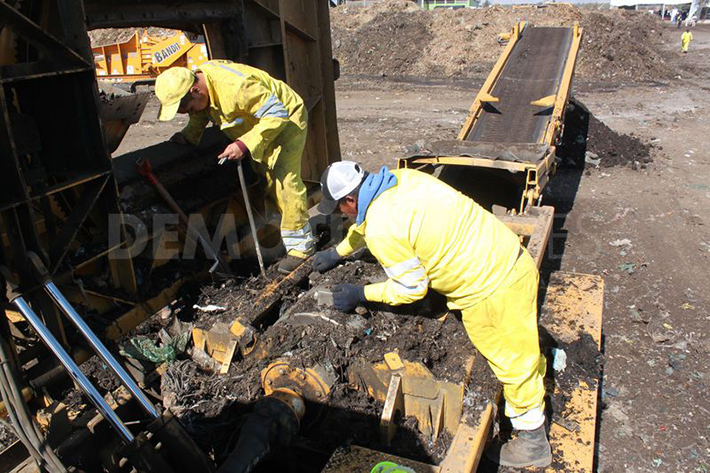 The waste contained sludge that was laced with mercury. 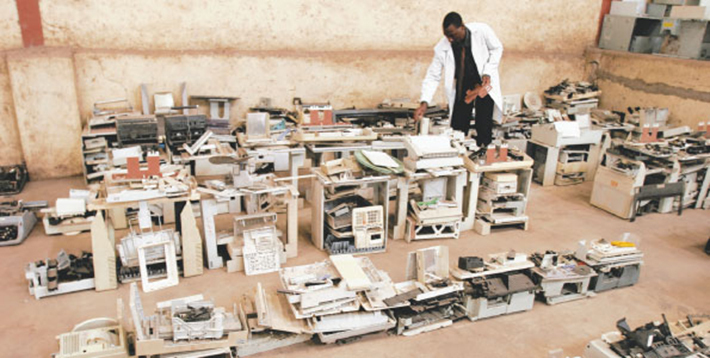 More recently, the Basel Action Network also uncovered that recyclers in the US attempted to illegally export e-waste to South Africa. The e-waste was collected in collaboration with the Western Pennsylvania Humane Society under the pretense that it would be recycled in the US, but then loaded onto a ship and sent to Durban. Sweden is one of the very few countries in the world that actually welcomes trash from other nations. This is because less than 1% of garbage originating in Sweden actually end up in dumps. 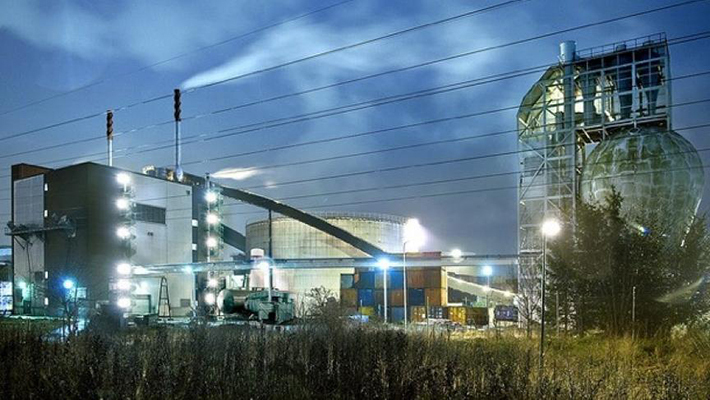 The rest is recycled or burned at special plants to generate heat for homes. 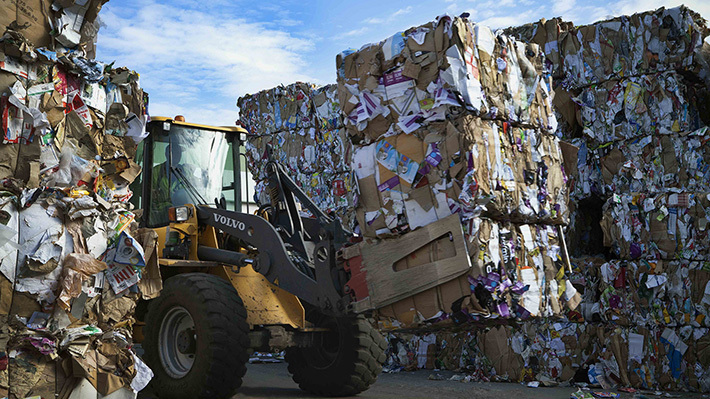 The process is so efficient that Sweden eventually ran out of trash and started importing waste from European neighbors to fuel the country’s waste-to-energy program.